Hardwood flooring is very decorative and has a natural friendly appeal. It is durable and has excellent impact resistant qualities. 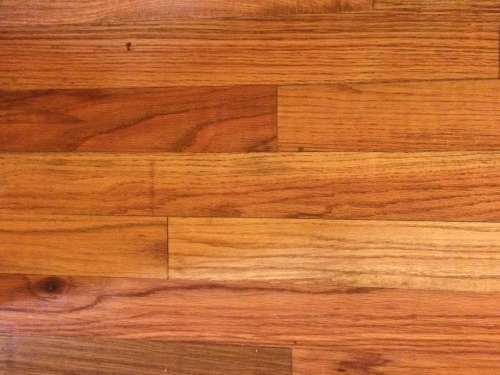 Hardwood flooring is a good investment. Unlike almost any other type of flooring or carpet hardwood flooring very often lasts a lifetime. After it is installed if the need arises it can easily be repaired, refinished sanded again and have applied a fresh coat of polyurethane, stain or other coating. The floor can be refinished several times. It is not uncommon to hear of hardwood floors still in good condition that are near an hundred years old. Plank flooring is one name for this type of solid wood flooring we produce. We have two standard flooring profiles. They are 3 1/2 and 5 1/2 wide. We offer different types of wood flooring. 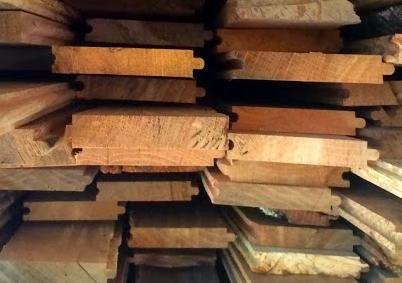 These are Red Oak, White Oak, mixed Oak, Walnut, Pecan, and Yellow Pine (softwood). When available we can cut Ash, Sweetgum and Hickory flooring. 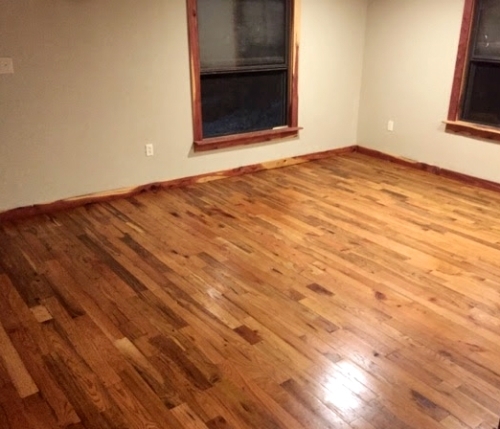 We offer to the public kiln dried, solid wood hardwood flooring. This is the real tried and true flooring lumber pattern of good flooring. This is not plywood or laminate flooring. We take the lumber through each stage. We take raw saw logs, cut them into rough cut board, edge them to the right width, dry the lumber and take it through a kiln drying process. 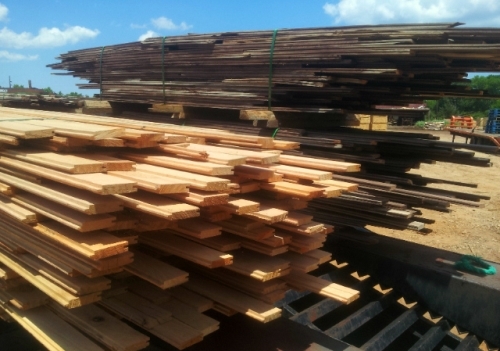 The lumber is then planed, sent through the wood shaper molder, graded, packaged and if need be we can deliver it right to your location. Our flooring is sold unfinished. It will need to be sanded on site after it is installed in order to get the smooth over all matching floor surface. 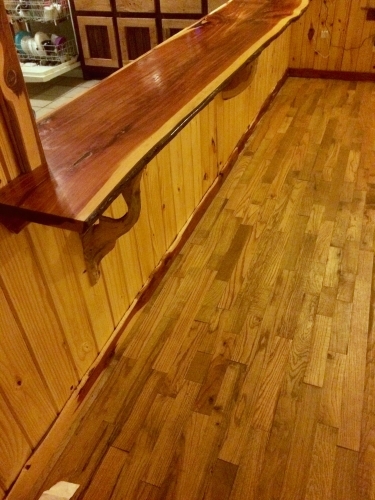 It can than be finished with a stain, polyurethane or a floor paint. Red and white oak flooring can come out in the finished product in many different colors and shades. These colors can be light pink, white, cream, reddish brown, light brown, peach, yellow, greenish yellow olive tone, and more. Flooring planks are random lengths generally between 1 to 10 feet in length. 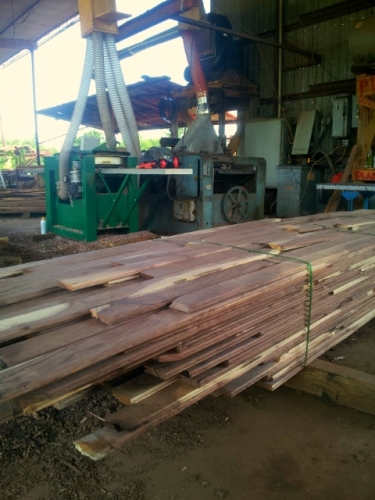 Call and we can discuss the wood type, grade, features, colors and details of the order that are good for your project. Our prices are good! Our solid hardwood tongue and groove mixed Oak flooring starts at $2.50 a square foot for our 3 1/2 inch wide flooring and $2.90 square foot for our 5 1/2 inch wide flooring. This is good value. We also offer PINE FLOORING. This is a softer wood than Oak or Walnut but is also easier to work with, is less cost and offers a yellow with some grey color pattern to a floor. This is a popular floor covering here in East Texas. 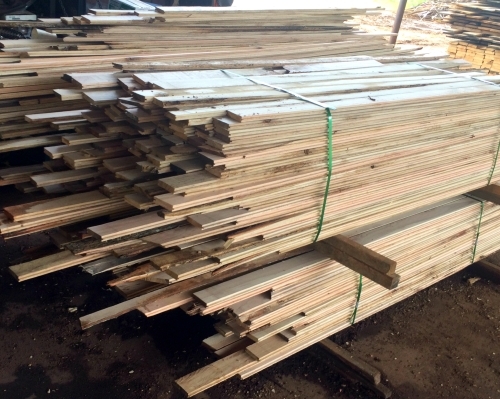 Our Pine flooring goes for $1.20 a square foot. It is offered in 3 1/2 and 5 1/2 inch widths. We have skilled wood flooring installers. We are happy to see our flooring taken completely all the way to the finished result. Feel free to ask for a quote. To add extra interest to your home and bring costs down, we can turn trees from your property into flooring for your house. (See Hundreds of pictures in our public photo albums and more what we offer.